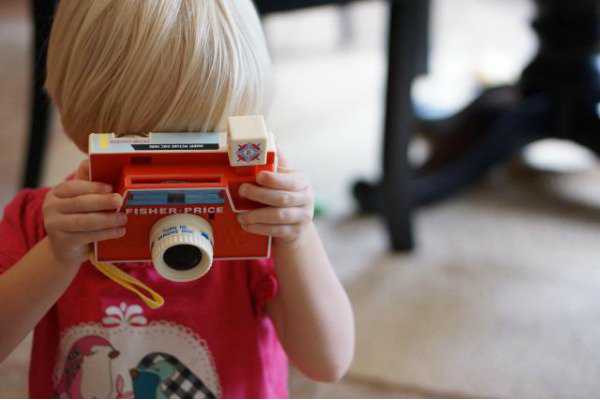 Beloved brand Fisher-Price have reinvented some of their classic toys for the modern child. Imagine the warm fuzzies you will get watching your little loved one play with a toy that delighted you as a child, and likely delighted your parents as children too! We are often reminded that the simplest of playthings are often the most fun, usually when children prefer to play with the wrapping than they toy. 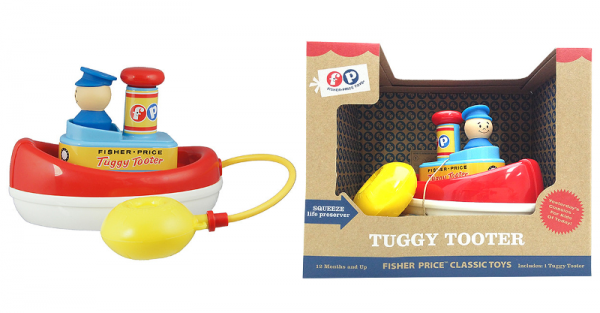 Well these gorgeous retro toys from Fisher-Price are simple in design and simply wonderful fun for young and old. Come take a trip down memory lane. Remember this classic camera? It has interchangeable discs filled with charming pictures of scenes from your favourite nursery rhymes. Just hold the camera up to the light and click the shutter button to scroll through the images. Released in 1968, I remember playing with this toy as a child but mine was a worn old thing passed down from my aunt. Today you can buy a brand new one for only $25 and see a new generation be delighted. 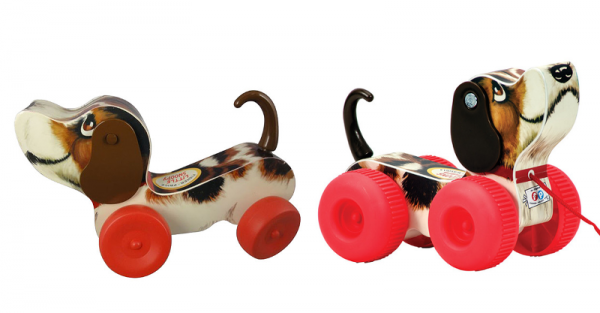 Little Snoopy is a pull-along dog that wobbles, wags, and yips as he waddles along. In a word: adorable. His animated manner and sounds are a fun reward for youngsters who are just learning to walk and teaches the connection between cause and effect. No wonder this toy has been a hit with kids since 1968. An ideal toy for ages one and up, you can collect your own Little Snoopy for $20 at Target. Move over rubber ducky, because here comes Tuggy Tooter ($25) floating his way into our hearts. If you had one of these as a child you may remember squeals of delights as you splashed about, suds flying, with the Tuggy Tooter toot-tooting its horn. This floating boat toy has a yellow ball that you squeeze to make the smoke stack rise and fall with melodic toot-toot sounds. And look how charming it is with the cheery captain smiling away. Now here is a classic that has never left the limelight. 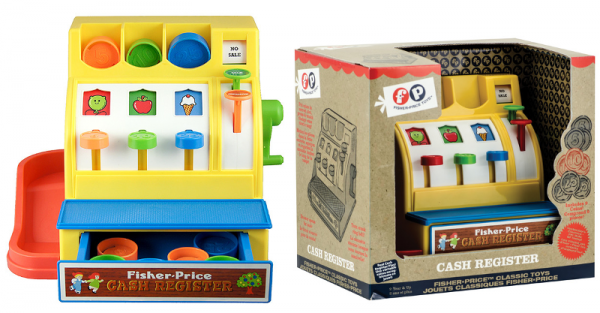 The Fisher-Price cash register is a wonderful toy for teaching kids about money, or just for role-playing fun. It has a variety of coloured coins and buttons to press that will make coins enter the register or slide down the ramp as change. There is a crank on the side that opens the register when turned. Sure, no modern cash registers look like this but just watch how quickly your children will figure out the mechanisms and love playing shop. There is a reason this toy has been loved so much over the generations. Now available for $50 at Target. If retro is your jam you may also like these vintage-inspired night lights or the reinvention of the unforgettable View Master.